The furniture store: these prices are high for a reason, because they almost expect you to talk them down! In most furniture stores you can try and negotiate for a better price or for additional merchandise. At the very least, try and ask for free delivery! 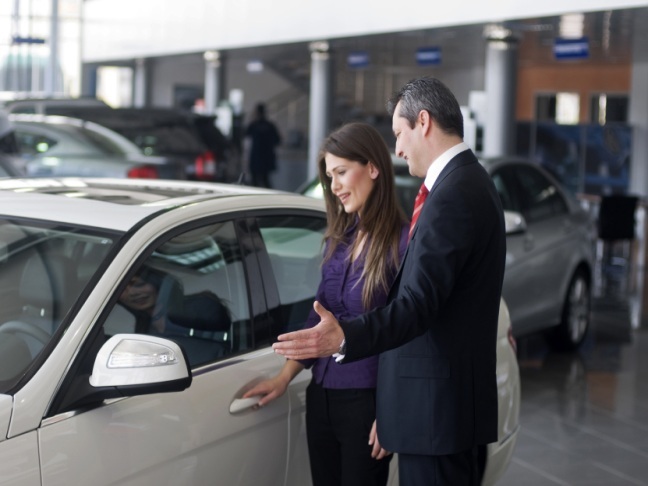 The car dealer: If you don't try to negotiate with the car dealer, they might worry something is wrong with you! It's totally expected and accepted to try and strike a bargain on the car lot. The appliance or electronics store: They might not lower the price of the flat screen, but they might throw in a Blu-Ray player or free home installation! Garage sales: Always ask for a lower price at a garage sale. If they want to get rid of something bad enough, they'll meet you halfway! The doctor's office: Okay, this is iffy. However, sometimes you can negotiate services if you agree to pay in cash. Your cable bill: Call up your cable company if it's been a while and let them know you are considering taking your business elsewhere. Ask if they have a more reasonable cable package available to you. If you haven't had a rate decrease in awhile, they might just be able to lower your monthly bill (or give you some fun new premium channels!). Insurance: Do some homework beforehand and call up your insurance agent about a rate decrease. If you are a good driver, you might just be in luck. Buying a home: Don't ever pay the listed price for a new home. Negotiate to find a rate that works for both the seller and yourself. House prices are set with wiggle room for negotiation. The thrift or consignment store: Offer to pay a bit less and see what they say. It can't hurt, and really they just want to move their inventory as quickly as possible, so they are often willing to cut down on the price just a bit. The grocery store: Or at least grocery stores that will price match. Walmart, for instance, will price match even if you don't have the store ad in hand! This isn't necessarily haggling, because their policy states that if you found a better price elsewhere they will match it. Consider it haggling without uncertainty. Know your stuff. Make sure you've done your research beforehand. Research what the competitor charges, what the product is capable of and what the rock bottom price should be. Bring cash whenever possible. Now, when buying a house, most of us don't have an extra 200-500 grand sitting around. However, even a large cash down payment can squeak the wheels of negotiation in your favor. Be willing to leave the deal. To negotiate effectively, you need to be willing to let the deal go if they won't meet your demands/meet you halfway. If they can tell you want it bad enough, they won't lower the price. Be kind. Don't be a jerk. You can negotiate kindly and with a good attitude. If you can't come to an agreement, thank them for their time and walk away calmly. Next time you have a big purchase to make, don't assume that the sticker price is the final price! Have you ever haggled yourself into a great deal? I'd love to hear about it!